Madonna won a High Court case against the Mail on Sunday and will donate damages to her charity, Raising Malawi. The singer claimed close to $9 million in damages in a case involving private photographs of her wedding to film director Guy Richie. A court hearing will be held next year to determine the amount of damages she will actually receive. 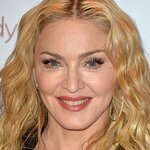 Madonna’s adopted three-year-old, David Banda, is from Malawi, which in part prompted her to establish Raising Malawi to help children orphaned by the Aids epidemic in the African country.